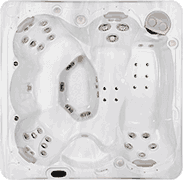 Will A Hot Tub Help Sore Muscles? 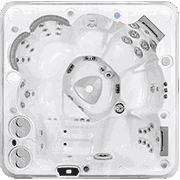 Get Our Free Hot Tub and Swim Spa Buyers Guides! 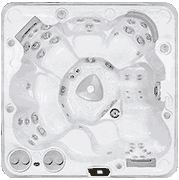 There’s no doubt that a hot tub can help with sore muscles. Whether you’re body is stiff and aching from high impact exercises, because you’ve overworked your muscles or even because you’ve been sitting at the desk for too long, a hot tub can play a major role in relieving sore muscles, overworked joints and creaky bones. But how does a hot tub work to provide that relief? 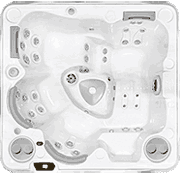 In this article, we go over the reasons why regular use of a hot tub can relieve your aching body tissues. Sore muscles are typically caused by a buildup of lactic acid. Lactic acid is created when there is not enough oxygen available to the muscles while they’re working. Lactic acid can be converted to energy without oxygen which allows your body to continue to work despite the oxygen deficit. However, lactic acid can build up faster than the body can burn it which results in lasting muscle pain. 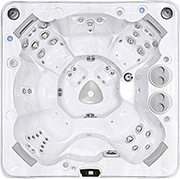 Studies have shown that soaking in the warm water of a hot tub after intense exercise can decrease the amount of lactic acid in the muscles and thereby provide pain relief. 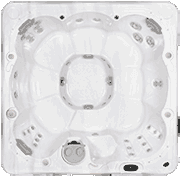 The jets featured in hot tubs create a massaging effect which can help with pain relief and hasten recovery times after periods of intense exercise. It’s been found that even short term exposure to warm water massage is effective in improving pain relief, recovery and improving athletic performance. 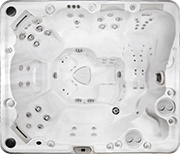 Even if your sore muscles weren’t caused by overwork or athletic performance, the warm, massaging waters of a hot tub can play a major role in loosening up tight muscles and providing relief from aches and pains. 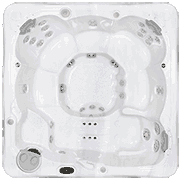 The hot tub’s warm waters can also be used prior to exercise to help the muscles prepare for exertion by allowing them to warm up properly. Soaking in a hot tub increases the blood circulation which promotes oxygen movement throughout the body and makes it less likely that lactic acid will be created once you begin your workout. 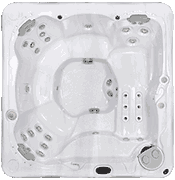 A hot tub warm up will not only reduce the chances of sore muscles, but the practice can reduce the chances of injury and increase the ability to perform. So, not only can the hot tub help sore muscles, it can decrease the chances of sore muscles from happening in the first place. Professional athletic trainers have long understood the benefits of hot tubs have when it comes to keeping their athletes in top shape. 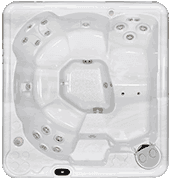 But it’s become more apparent that hot tubs can help those who aren’t involved in strenuous sports to stay limber and pain free. As more people end up sitting at desks and using computers, it’s been found that office workers can suffer as much debilitating and chronic pain as a professional athlete who abuses their body for a living. Relaxing in the hot tub soothes the muscles, relaxes the body and calms the nerves. 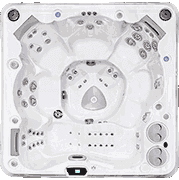 Although warm water massage has been proven to soothe sore and aching muscles, if you plan on using a hot tub after strenuous exercise its important to let your muscles cool down and make sure your body has been rehydrated before jumping into the hot tub. Make sure to follow a cool down routine after exercise as applying heat to freshly used muscles can increase inflammation and slow down your recovery time. However, once you’ve gone through your cool down program and rehydrated your body, feel free to reward yourself with a relaxing soak. 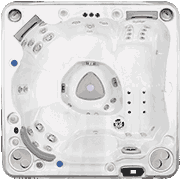 To learn more about the wonderful benefits of hydrotherapy, click here to download a hot tub buyer’s guide.